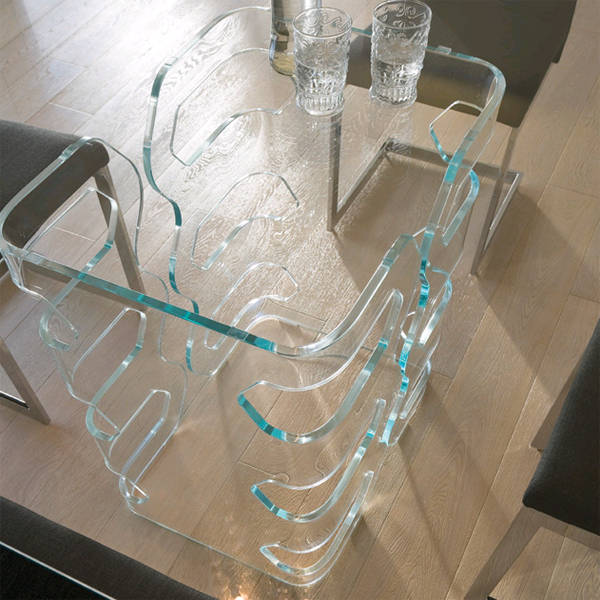 More than your average glass table, Glenn, with its unique base, inspires conversation. Available with extra clear bases and top. Bases 15mm thick, top 12mm thick.